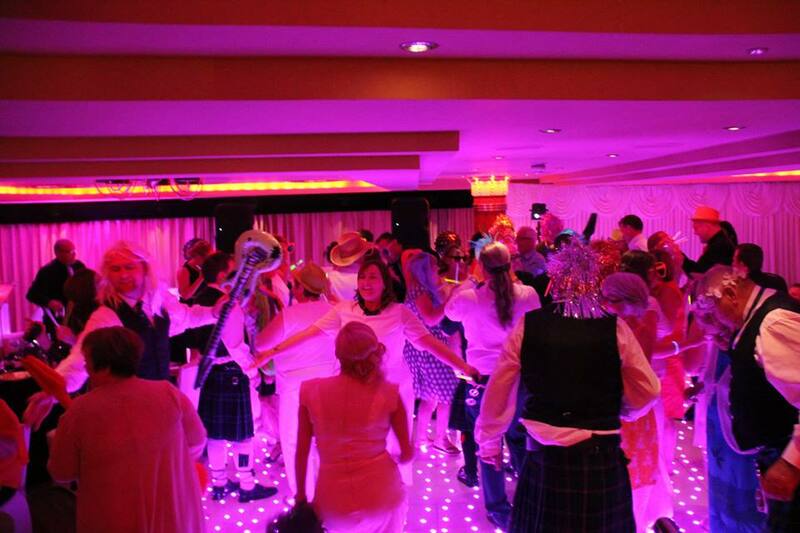 Let DJ David Munro provide you with the day of your dreams.. 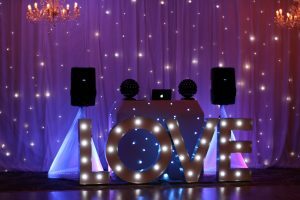 If you are looking for a professional Wedding DJ then I would like to start by saying congratulations on your engagement and I hope you’ve been enjoying the planning stages so far. My name is David Munro and I am also the owner of DBX Events. I have been involved in music my entire life and it has always been my passion to entertain. As soon as I was old enough I used to help the local DJ with his equipment and learned more about music this way. In time I developed my own style and went out on my own. After extensive training, research and shadowing other Wedding DJ’s, I finally covered my first wedding over a decade ago and I haven’t looked back since. I train with the best in the industry from all over the world and I go as far as America to do this. I offer much more than “Just a DJ” service. As a professional Wedding DJ, I can be with you for the entire day to provide your ceremony music both indoors and out using our discrete and powerful ceremony systems. Haveing a professional manage your Ceremony music can really make all the difference. 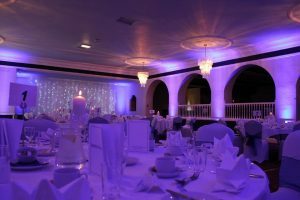 Many venues will suggest a CD Player which relies on a guest knowing the exact timings, getting the volume right and also putting unneeded pressure on your guests too. 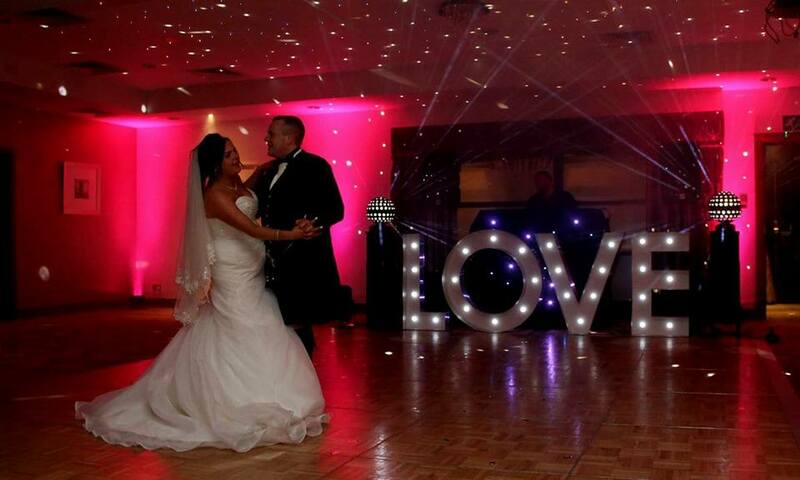 To provide the ceremony music a suitable backup should be in place and the person should also be prepared to add additional songs if required if timings are being delayed by photo’s , access , traffic or any other unforeseen circumstance on the day. simply using a CD will limit you greatly on what you can do , Even an iPod or tablet gives limited control without the proper tools to mix the music correctly. I would have suitable background music playing whilst your guests are seated and also help direct your wedding ushers on getting your guests seated on time, Played at different volumes and monitored to set the mood. The volume and mood of the music would change as your bridal party arrive and we begin the ceremony. Using your chosen song played at the exact point as you walk through the doors to begin your new married life, then playing suitable music as you sign the register and finally music as you walk back up the aisle as a married couple. I can also provide music in churches and chapels instead of a traditional organist. Many ceremonies take place in the remote area’s where traditional power isn’t an option. For these venues, I use Battery systems and also have Battery lighting available on request too. I am also a trained modern day master of ceremonies. I can host your day in a fun and unique way that is personal to you and your guests. Many people now see the traditional toastmaster as too formal; a wedding is a celebration and should be filled with smiles and happiness. My focus on the day is to keep the day fun, enjoyable, stress-free whilst maintaining the timeline to ensure everything goes to plan. 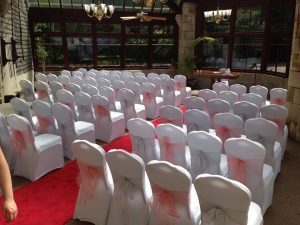 Many venues will appoint a Wedding MC that is usually the manager on the day, whilst they may be good at this role. 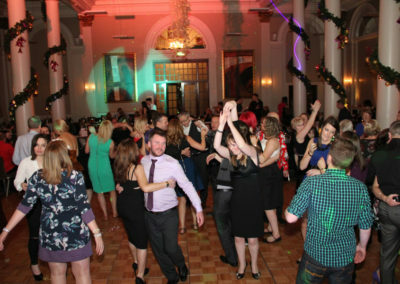 Their focus is on the venue staff and not on delivering a personal and unique service to you and your guests. By meeting you in person and planning how you envision your day I can plan out your wedding breakfast and how I can use modern techniques to really give you and your guests a day to remember and make your wedding like no other you’ve ever attended. Bellow is a video taken at a wedding where I was the MC and decided to build a little atmosphere into the afternoon with the guests. 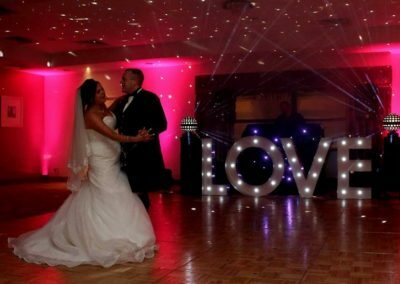 By working with you as much as possible as your Wedding DJ, I can ensure your wedding is personal to you and your guests. We can discuss everything in advance in person, by Skype if distance is an issue and I also have a unique online planning system that both you and your guests can use. The beauty of this system is that you are in full control of your event and you always have a point of reference. Most weddings are planned over the course of two years. 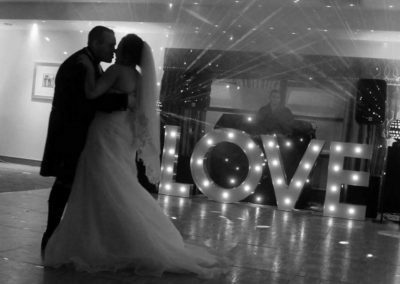 I personally host around 80 weddings per year and send out over 200 wedding quotes per year. I personally keep a copy of all correspondence we have rather than the paper diary method that can easily be lost or damaged. There is a lot more ways to build an atmosphere and capture your wedding guests attention than simply playing music.Here is a variation of the Mr and Mrs game you may be familiar with. This is entirely your choice as we understand it’s not for everyone. This would all be discussed with you in advance to your wedding to ensure a truly unique and personal event. 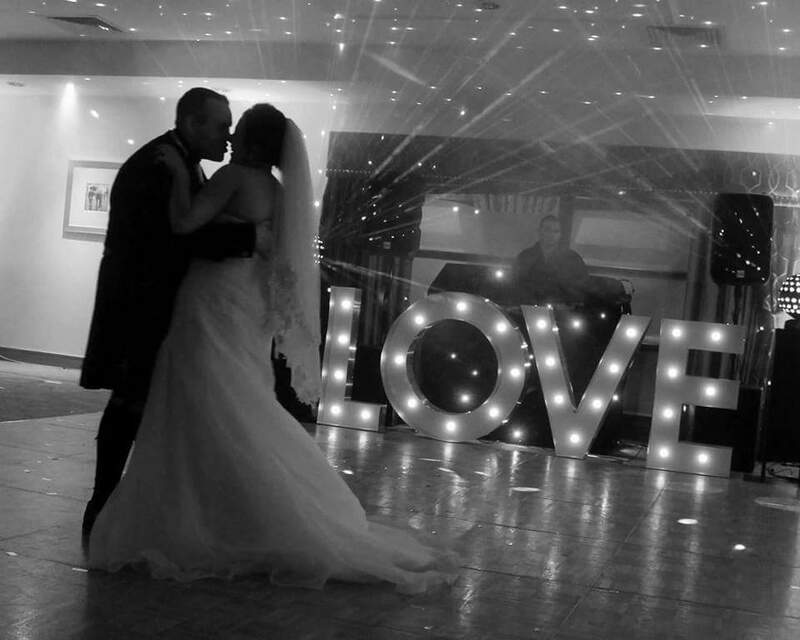 So that just about covers the preparation, you’ll also be pleased to know that as a professional wedding DJ I carry a complete backup solution to every event I do meaning your event will never end earlier than planned. I even have battery powered systems and lighting for when power can be an issue, I just need to know in advance and I can even bring my own generator for marquees if needed too. 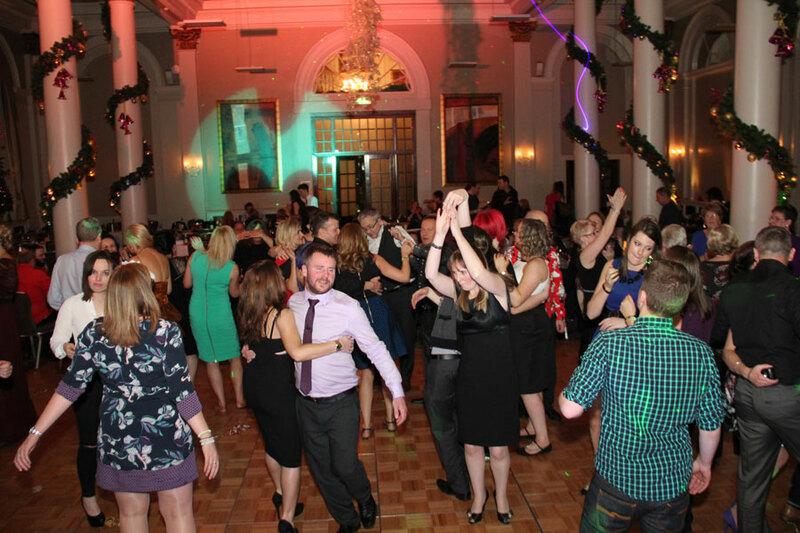 Being a professional Wedding DJ isn’t just about playing the music on the evening. It’s about delivering a personal and unique service to you and your guests. 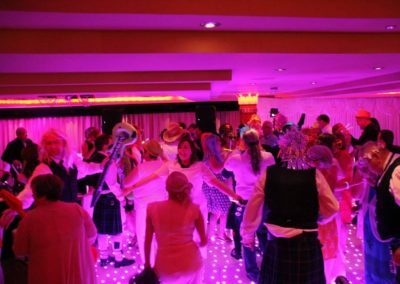 By working with you as much as possible I will know exactly how you envision your evening, I regularly entertain guests from all over the world as many people come to Scotland to get married in our stunning castles and countryside. Some of my favourite quotes that have helped shape what I do and who I am. I adopt this attitude in my everyday life and also in what I do. I very much believe that almost anything is possible so if you have any suggestions for your day on how you would love to be different then please let me know and I would love to work with you to make it happen. David Munro Holds a Diamond Award which is the highest achievable award for a Wedding DJ within the DJ Mark scheme. David is also a member of the WDJA too.